Sometimes in your Microsoft Exchange environment you can experience a problem with HUB or Edge Transport servers, when often messages stuck in Queues. 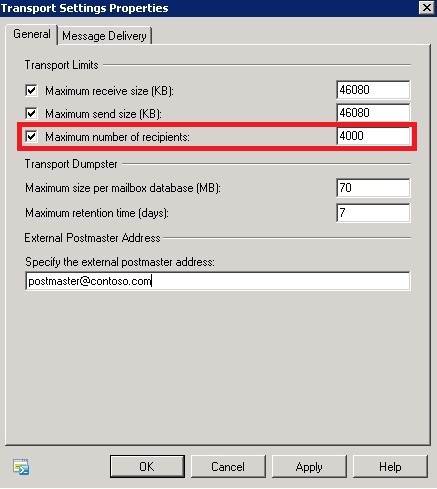 When you resolve problem with any Exchange server, sometimes it takes few minutes for Exchange to resubmit all emails, time depends on how many messages are in queues. open Queue Viewer or Resume-Message cmdlet to resubmit messages in poison message queue. The Exchange Team announced that in the first half of calendar year 2013 will be released Service Pack 3 (SP3) for Microsoft Exchange 2010. Coexistence with Exchange 2013: Customers that want to introduce Exchange Server 2013 into their existing Exchange 2010 infrastructure will need the coexistence changes shipping in SP3. Support for Windows Server 2012: With Service Pack 3, you will have the ability to install and deploy Exchange Server 2010 on machines running Windows Server 2012. Before you will install Service Pack 3 for Exchange 2010, to add new features, you will need to update Active Directory Schema. Most of us who has used Shared Mailbox in Microsoft Exchange environment, met with users complaints that emails which they sent a message using the shared mailbox account goes to Sent Items personal mailbox. 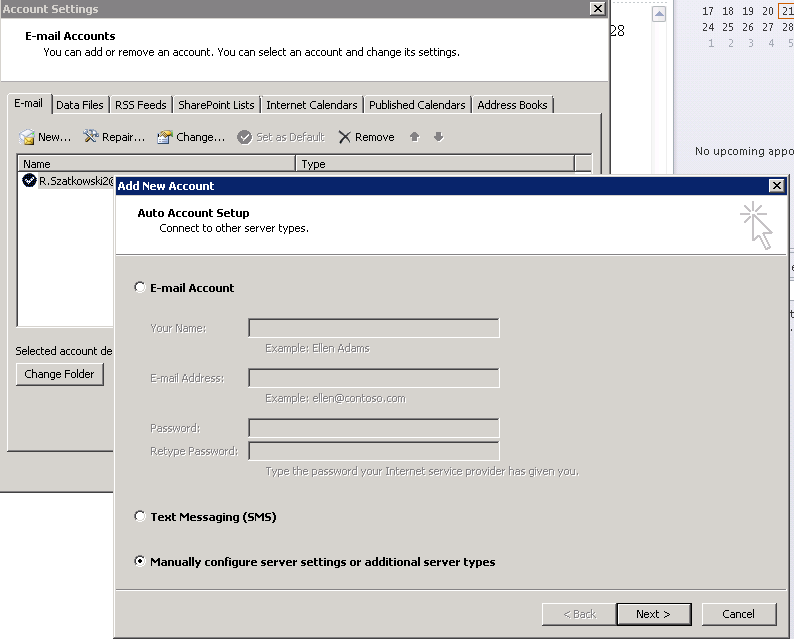 This behavior is normall for scenario when we use Microsoft Outlook with personal mailbox and automapped shared mailbox. Then when we delete or send message from shared mailbox account, the message goes to personal recycle bin or sent items. How can we separate Shared Mailbox deleted and sent items ? When you use Microsoft Outlook and you get permissions to shared mailbox, this mailbox will be automapped in Outlook. 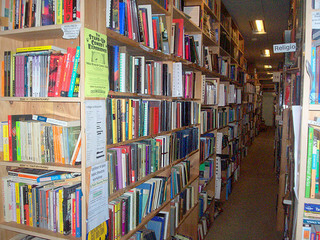 After automapping when you send a message from shared mailbox this message will be saved in sent items of your personal mailbox. This behavior often is unwanted. To make Outlook 2010 to save all sent items or deleted items from shared mailbox to sent items folder or deleted items folder in shared mailbox you have to add shared mailbox as equivalent mailbox in Outlook. 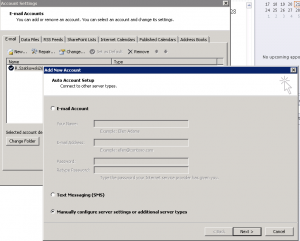 When Microsoft released Microsoft Exchange 2010 SP1 we’ve discovered new feature that allows Microsoft Outlook 2010 and 2007 clients to automatically map mailbox to which a user has Full Access permission. So if we add user Full Access permission to 10 mailboxes, he will all 10 mailboxes in his Outlook because these mailboxes will be automatically mapped in Outlook. In Microsoft Exchange 2010 SP1 there was no option to turn this “great” feature off. But when we get Microsoft Exchange 2010 SP2 we can use Exchange Management Shell (Exchange Powershell) to disable this feature. When we use Exchange Management Console to add user Full Mailbox Permission to other mailbox, this mailbox will be loaded to user Outlook. In fact, this information is easily available on technet, but sometimes it is useful to organize and put them in one place. There is an important change compared to Exchange 2003 – Distribution group are treated as one recipient. On September 4th 2012 Microsoft annunced “Important Changes to Forefront Product Roadmaps“. Microsoft is making big change in server security offerings, specially their oldest server security offering ISA and TMG. Few days ago Microsoft Windows 2012 became available, but if you are using Exchange 2010 SP2 and want to test it with Windows 2012, you have to wait because Exchange 2010 SP2 is not supported on Windows 2012. Right now Exchange Team works on update to add support between Windows 2012 and Exchange 2010. We hope it won’t take too long. New video sessions from TechEd 2012 in Australia and New Zealand are available at Channel9.com website. Below you can find list with video sessions about Microsoft Exchange 2013 and Microsoft Lync 2013. As of August 4th 2014 Microsoft will be ending its support for Microsoft Exchange 2003. If you are using Microsoft Exchange 2003 and want to have support for Microsoft Exchange products, then you have to start thinking how to upgrade your Exchange environment to newer version Exchange 2007 or 2010. After August 2014 Exchange 2003 will not be supported by Microsoft anymore. Anyone who is using Symantec Enterprise Vault should check free video tutorials from Symantec. Tutorials explains how to install, upgrade, move to a newer version, manage and resolve some problem with Enterprise Vault version 8, 9 and 10.